Trends for kitchen construction and renovation suggest that homeowners are moving away from sterile metal and other harsh materials and visuals. In cabinetry, particularly, wood kitchen cabinets are showing increased popularity and look to be a featured favorite for 2015 and beyond. Wood kitchen cabinets offer multiple wood types and grains to complement a kitchen. Several different types of wood stains can also be used to enhance the visual appeal of wood while also offering some protection to the surface. Wood adds a warm, natural look to kitchens that can’t be matched by stainless steel, plastic, glass or painted metals. 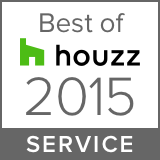 The most popular of woods used for kitchen cabinets for 2015 is oak. This sturdy and long-lasting wood has been in significantly greater demand for kitchen projects in both the United States and Canada. 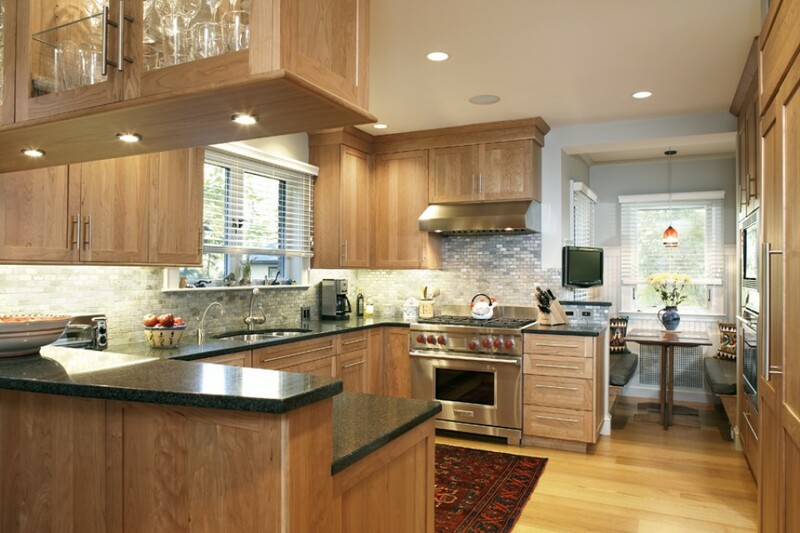 Maple and cherry are also frequently used material options for kitchen cabinets, furnishings and accents. In general, use of birch as a kitchen material is decreasing, indicating that its use will probably drop even further in 2015. In some cases, combinations of wood tones are becoming popular alternatives for kitchen design. Pale woods are often combined with darker-toned materials, from lighter honey-toned woods to overall darker materials. These contrasting colors give wood-toned kitchens a dramatic visual effect that suggests older days when homeowners used certain types of woods more sparingly because of availability. Wood stains accompanied by natural woods in complementary colors and patterns are also sparking increased interest among homeowners and designers for 2015. Sage Builders LLC, a general contractor in Newton, MA, can help you find the perfect combination of wood kitchen cabinets for your home construction or renovation project. Contact us today for more information on using wood kitchen cabinets or for insight into other design and construction options for your Boston-area home.